Personally, I find it a bit of a sad testament to where hip-hop music is heading compared to it’s original socially conscious roots. 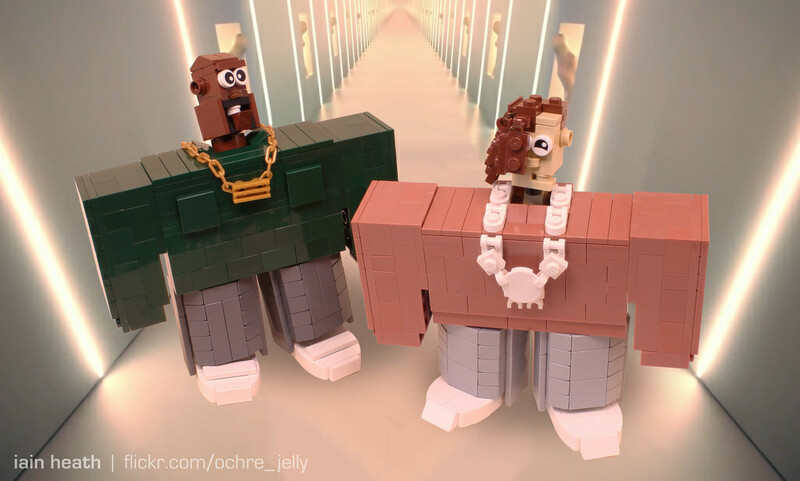 But whether hip-hop fans love it or hate it, the bizarre video for the latest collaboration between Kanye West and Lil Pump is already being widely hailed as “meme gold”. And it’s easy to see why from the costumes donned by the two rappers in this Spike Jonze production – costumes that are almost as over-the-top as the song’s lyrics. With many people comparing the look to characters from the ersatz-Minecraft game Roblox, a LEGO interpretation seemed like the next logical step. So I made one. You’re welcome! You think…. kanye isn’t socially conscious? You do realize that this video being a hit meme was no accident, right? Your commentary is what’s truly socially conscious. I think you’re just more out of touch with today’s culture than you were when you were a kid and want to blame it on culture. The fact that someone os defending a talentless human void like Kanye West says a lot about today’s “culture” and its failings. Don’t let that stop you from being a know-it-all millenial douche, though, G.